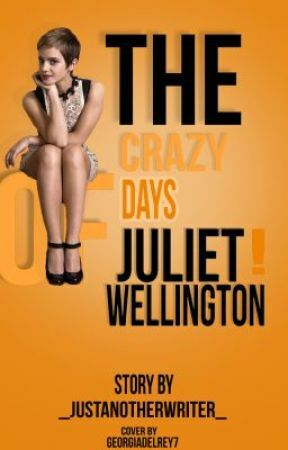 The Crazy Days of Juliet Wellington. I woke up to the sound of pots and pans clashing downstairs. Rubbing the sleep from my eyes, I stretch, yawning. I trudged to the bathroom and a quick shower, throwing on some jeans and a t-shirt. I wrap my wet hair up in a towel and jog downstairs, where I can detect my favorite smell-bacon. "Something smells good," I singsong, leaning on the countertop as Liz and Marcus bustle about the kitchen. "How can I help?" 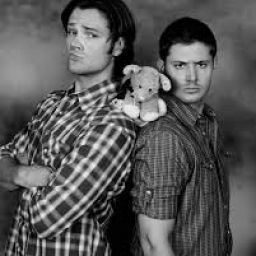 "Waking up Colt?" Liz grinned at me. Of course. Why don&apos;t I just become his official alarm clock? Instead of voicing my irritated thoughts, I nodded and dragged myself back up the stairs. I didn&apos;t even bother knocking on Colton&apos;s door, but just walked right in and plopped right next to the slumbering boy. Sometime in the night, he must have taken his shirt off because I got a full view of his six-pack when he rolled over. Using all my self will to not perve on him, I shook his bare shoulder. "Col-ton, time to wake up," I sang. He blearily opened his eyes. "Ugh, my head," he groaned, covering his face with his hands. "That&apos;s what you get for-"
"Shhh," Colton cut me off by placing a hand over my mouth. "Don&apos;t talk so loud." I was cut off again, by Colton swiftly getting up and stumbling over to the bathroom, where I heard him puking. I jogged back over to my room and grabbed my emergency aspirin. I knocked on his bathroom door. There was a pause, and then some shuffling. "Yeah," came the gruff response. I slowly opened the door and saw Colton sitting on the ground, head in his hands. "Maybe this will help?" I offered the medicine. He looked up and took it, swallowing a pill. "Thanks," he muttered. I sat down in front of him, taking the towel out of my hair. "So... what do you remember from last night?" "I think there was this girl...... um, Adele, maybe?" "Ava," I flatly respond, recalling the drunk Colton giggling about her last night. "Yeah. How&apos;d you know?" He frowns curiously at me. "Cause you told me. On the drive home." I roll my eyes. "Yes, Colton." I sigh. "Because I obviously trust drunk you behind a wheel." "No, Jesus took the wheel. Yes, I drove!" I exclaim, frustrated. Hungover or not, this boy was slow. "How&apos;s my baby? There better not be a scratch or I swear I will-" Colton shot daggers at me as he pointed a finger menacingly in my face. I swatter away his finger. "Your &apos;baby&apos; is fine. I can drive, you know." He shakes his head at me. "You&apos;re just lucky I was too wasted to protest against you driving yesterday, or else I would have given you hell. Nobody drives her." "Your car is a she?" I just shake my head at him, laughing. "So we were talking about Ava?" He nods, squinting his eyes as if to better remember. "I think she was from two towns over and she went to Hartfords."